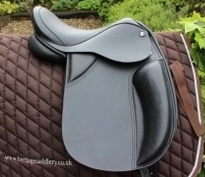 Suitable for all levels of showing including in-hand classes. 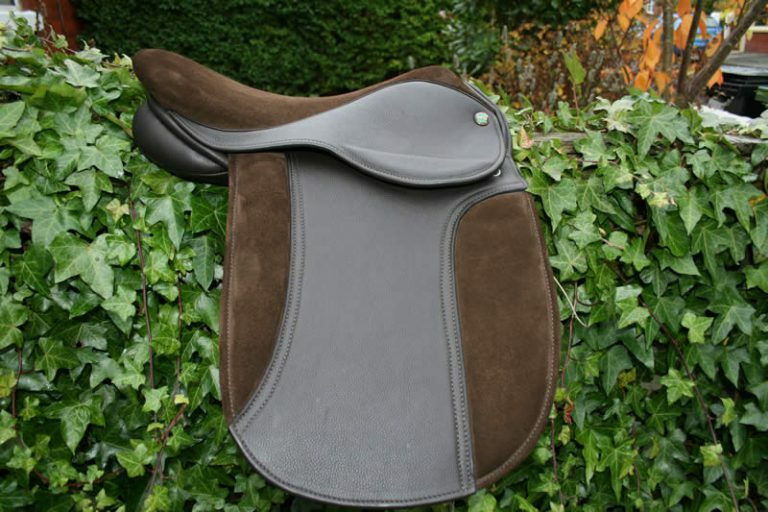 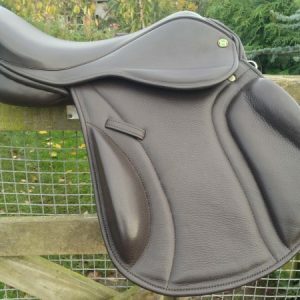 This Show Saddle has been designed for, amongst others, Native Show Ponies, Show Hunters, Mountain & Moorlands, Highlands and Fell ponies. 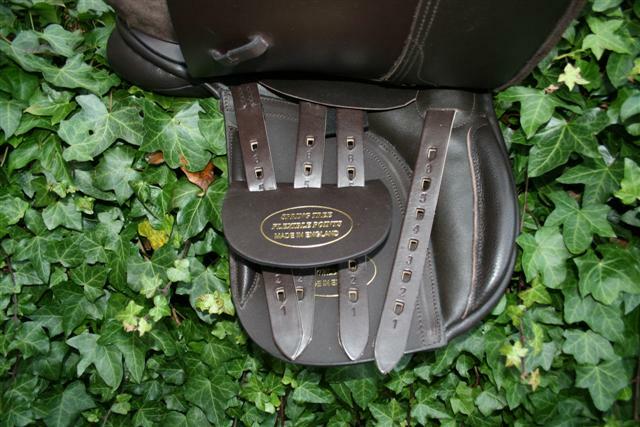 Very neat “Pencil” knee and thigh rolls. 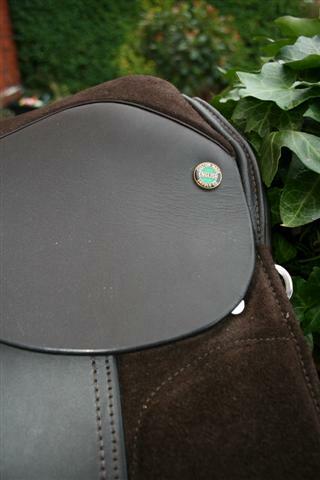 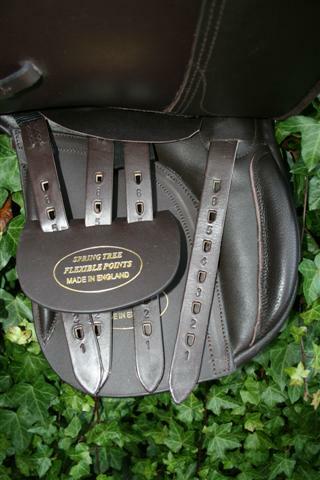 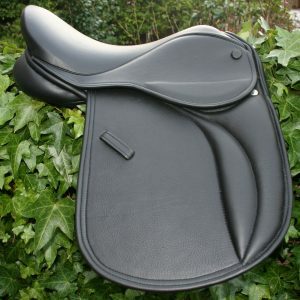 We use a best quality, English made, close contact, cut back head tree with square cantle. 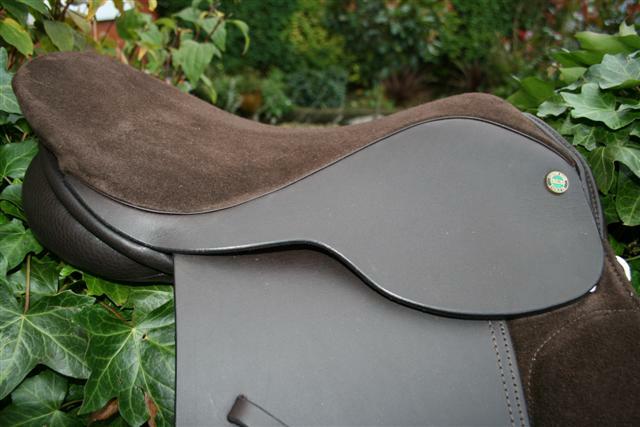 It has very straight cut panels and flaps and comes with knee and thigh rolls to give more support to the leg. 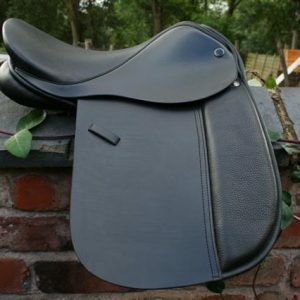 You may this saddle in all leather or with suede seat and/or knee pads if you prefer. 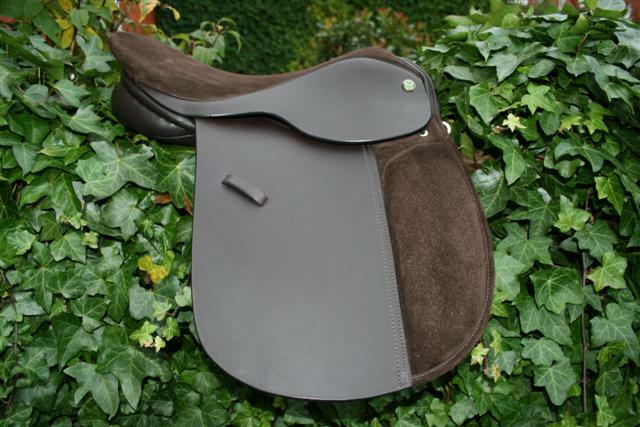 A saddle the judges love and the rider feels safe and comfortable in.